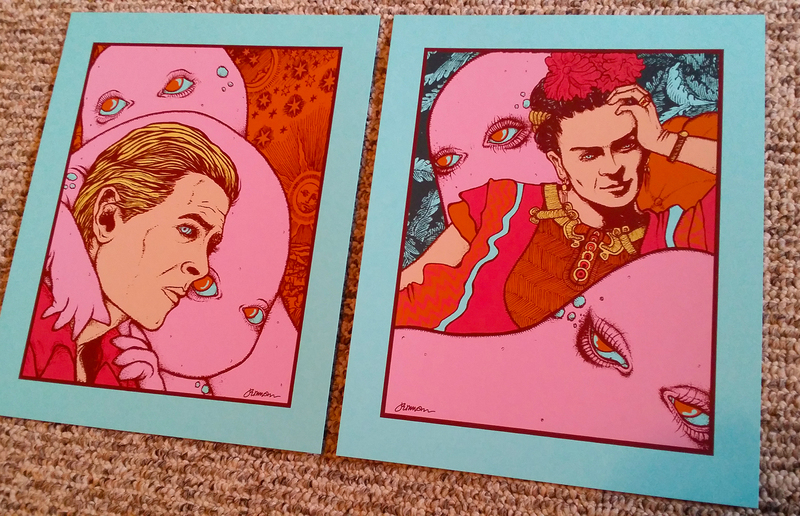 Introducing the first 2 mini-prints of the new 'Melancholy' series from Jermaine Rogers. 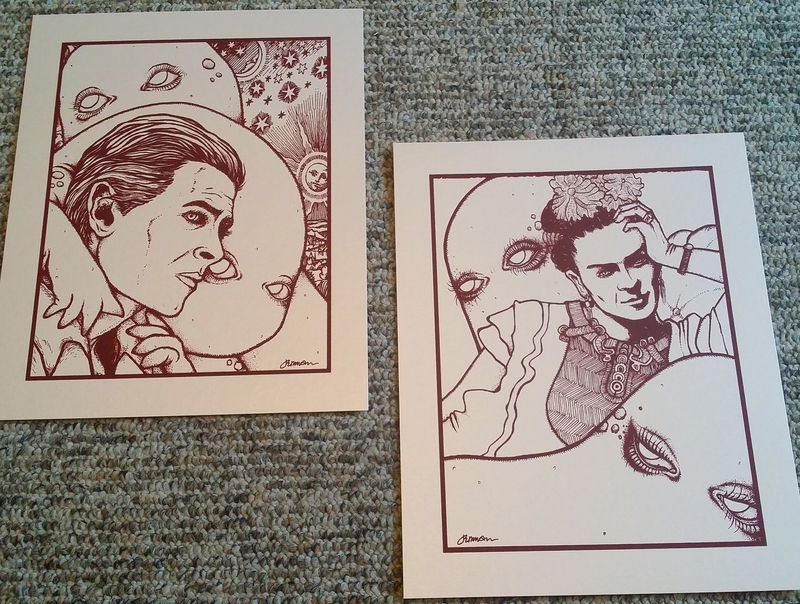 These screen prints measure 10x8 inches and are signed by Jermaine Rogers. 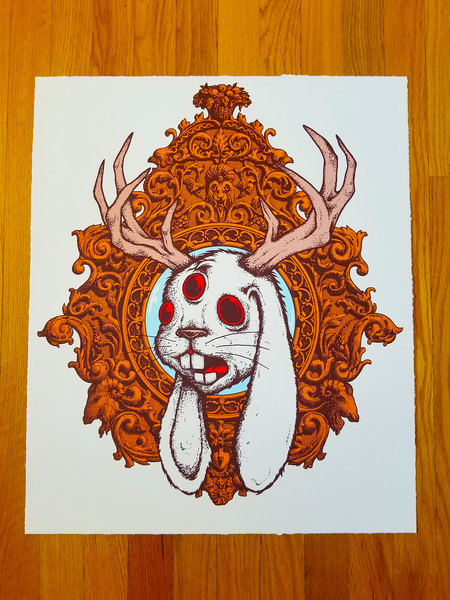 They are screen printed with rich inks on gallery stocks. These prints examine the lingering (and sometimes crippling) presence of Melancholy, and how it shapes what we desire and expect, both from ourselves and from others. For the great majority of individuals, Melancholy has the power to divert their journeys, collapsing their confidence and their plans until they are rendered powerless. The common man or woman struggles to loosen themselves from Melancholy's grip...and when free, they bound away with the joy and satisfaction of the battle 'fought and won'. Scattered to and fro, in between the masses, there stumbles the unfortunate among us. Regardless of the many measured attempts, Melancholy doggedly hangs on. It cannot be out maneuvered. It is an attached partner: it will never let go. To those who hold hands with Melancholy, the days would seem strange without it. 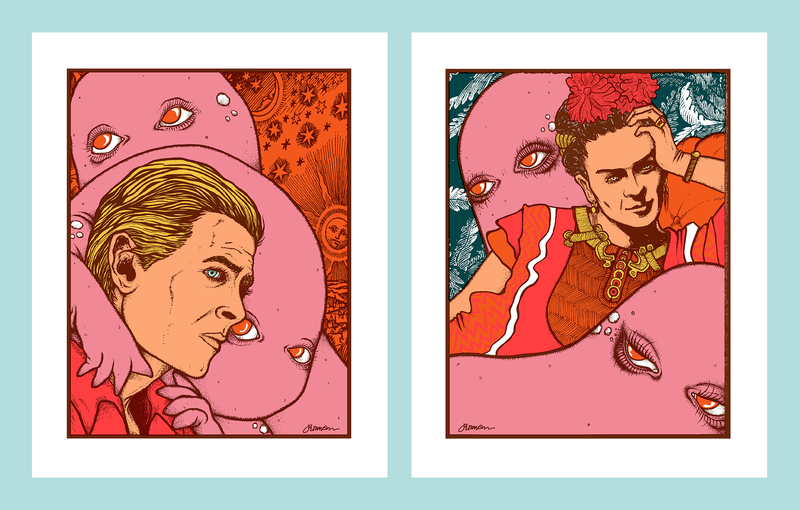 **Note: prints will be sold separately: no 'sets' at this time. (OPAL Edition): Printed on rich Stardream Opal stock. 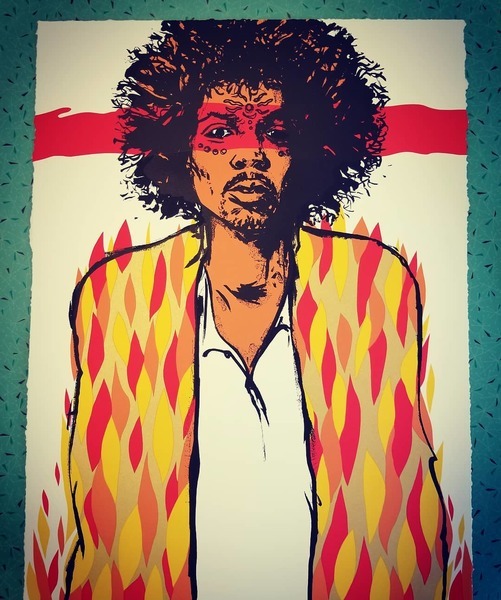 Signed by Jermaine Rogers. 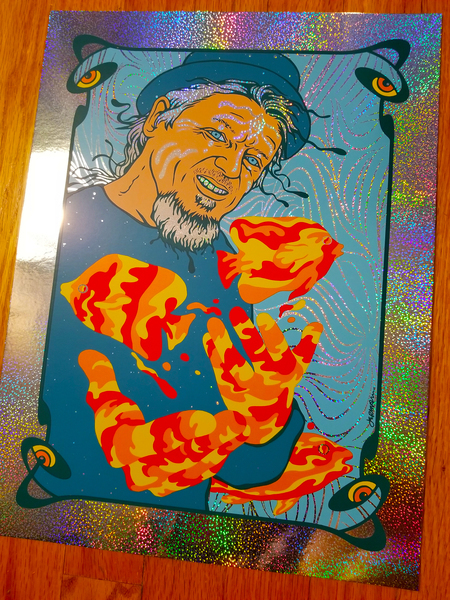 (LAVA Foil Edition): Printed on sheets of holographic Lava Foil. Signed by Jermaine Rogers. (Blue Raspberry Edition): Printed on French Blue Raspberry stock. Signed by Jermaine Rogers. (Keyline Edition): Printed on Stardream Opal stock. 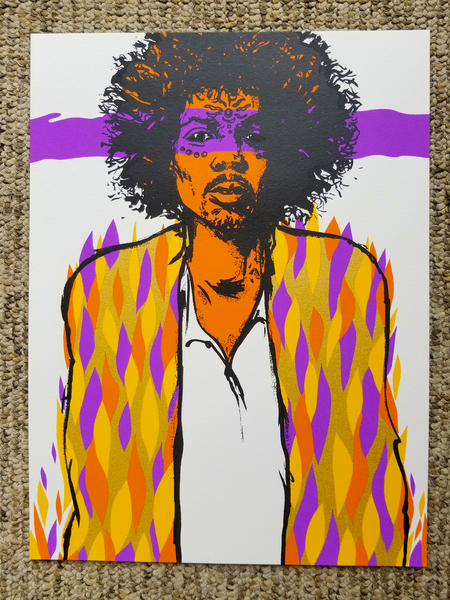 Signed by Jermaine Rogers.